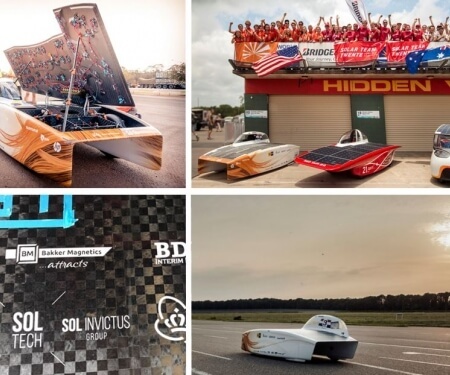 Bakker Magnetics is proud to be magnetic sponsor of the Nuon Solar Team from the Delft University, WINNERS of the 30th World Solar Challenge in Australia. With their self-made Solar car Nuna 9 the team managed to be the fastest over the 3.000 km from Darwin to Adelaide. Driven by a very efficient and powerful permanent magnet Hallbach motor which was constructed by Bakker Magnetics.